Those of us fortunate enough to live in a part of the world that gets a real change of seasons know the cycle of change well. As we retire our raking for the year and exchange shorts for thermals, our bodies and psyches settle in for the quiet season. If only we could hibernate. Part of the change this ritual cycle brings is in our diet. Crates of plump tomatoes are replaced by bins of acorn and butternut squash at the market. 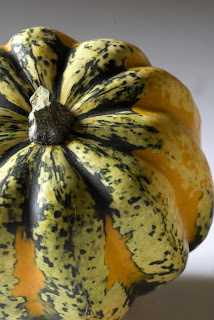 Mushrooms, legumes, and risottos make more regular appearances than during the grilling months. With this slow ebb into winter, our wine drinking palates also change. Sauvignon blanc, a front porch favorite on hot evenings, hasn't been seen for months now. Even Zinfandel is a distant memory, exchanged for heavier reds: Syrah, Petite Sirah, Cabs, and stout Spaniards from southern climes. But this year there's been a strong leaning towards reds from the Old World in our household. Chalk it up to the cold weather menus: more lamb and veal, sauces, and generally hearty fare. This is unusual in a home that enjoys a steady diet of California and southern hemisphere bottlings. Examining the recycling bin these last few weeks, what looked at first to be an anomaly has emerged as a theme. Rioja, Chianti, Bordeaux, Southern Rhone, Piedmont. Acidity on display. Not only that, but many at lower alcohol, too. The idea that higher alcohol (13.5%+) wines are more difficult to enjoy doesn't hold much sway with me. But as we enjoyed a light Bordeaux with a comfort dish recently, the combination of nuanced, lingering acidity and the absence of another couple of percentage points made for a pleasant change of pace. Will this new found infatuation come at the expense of long-time steady companions? Hardly, especially given my current fascination with the many faces of California Syrah. But the inclusion of Old World reds in the rotation has been a bright spot during these overcast weeks. 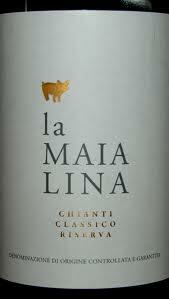 2009 La Maialina Chianti $10 - This wine is available in the straight Chianti, a Chianti Classico, and a Chianti Classico Riserva. All are lovely, delivering smooth, bright fruit and hunger quenching acids. Complexity and sophistication increase as you go up the price spectrum to the Riserva, which is flat out fantastic. 2007 Tenuta Moneti Caburnio $17 - This blend needs a couple of hours in the decanter before it'll sing for you, but once it does, you'll listen closely. Structured and layered, it's a leaner, more complex alternative for typical fruit-driven Cabernet. Repeat offender. 2008 San Silvestro Brumo Nebbiolo $14 - From a tiny hilltop town at the epicenter of Barolo country, this highly accessible drink is a great place to start your Piedmontese addiction. Easy going, super compatible, and wallet-friendly.